Treat your lips to the nourishing properties of By Terry Baume de Rose, a celeb-coveted lip and nail treatment that promotes soft, supple, regenerated skin. Protective, smoothing and reparative, the creamy, rose-scented balm has a luxurious melt-away texture and is concentrated in active ingredients to intensely nourish and soften the lips whilst strengthening the cuticles. Combining a moisturizing Hydroskin Complex with a blend of Essential Rose wax and Bio-ceramides the intensive formula helps to soothe and restructure skin whilst delivering astringent and anti-aging properties. 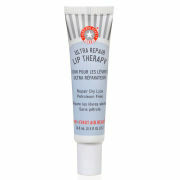 When applied to lips, it comforts, smoothens and plumps their appearance whilst imparting a natural glossy finish. When applied to nails, it promotes stronger, healthier-looking edges and cuticles. 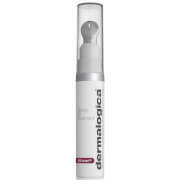 Fortified with SPF 15 to protect against damaging effects of the sun. For generous coverage, apply directly to lips with the pad of your fingertip. To strengthen nails and repair dry edges, apply generously and massage the nails and nail edges. Then, push back cuticles for a more defined look and to stimulate nail growth. For SOS care, apply a thicker layer and leave to sink in overnight. Ricinus Communis (Castor) Seed Oil, Synthetic Wax, Tridecyl Trimellitate, Hydroxystrearic/Linolenic/Oleic Polyglycerides, Diisostearyl Malate, Methyl Hydrogenated Rosinate, Hydrogenated Polyisobutene, Ethylhexyl Methoxycinnamate, Polyethylene, Butyl Methoxydibenzoylmethane, Butyrospermum Parkii/Shea Butter, Stearalkonium Hectorite, Corylus Avellana (Hazel) Seed Oil, Parfum / Fragrance, C20-40 Acid, Tocopherol, CI 77891 / Titanium Dioxide, Caprylic/capric Triglyceride, Ethylhexyl Palmitate, Propylene Carbonate, Geraniol, Rosa Centifolia Flower (Wax) Cera, Rosa Damascena Flower (Wax) Cera, Trihydroxypalmitamidohydroxypropyl Myristyl Ether, Citronellol, Alumina, Aluminum Stearate, Polyhydroxystearic Acid, CI 77019 / Mica, Citric Acid, Linalool, Silica Dimethyl Silylate, Benzyl Benzoate, BHT, Butylene Glycol, Caprylyl Glycol, CI 75470 / Carmine, Citral, Eugenol, Phenoxyethanol, Sodium Hyaluronate, Hexylene Glycol. (t0403/c). 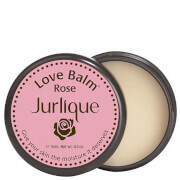 This luxe lip balm is the best I've ever tried. I have been using it at night for several years, and it keeps my lips soft and smooth. The lovely scent of roses helps me drift off to sleep as the product works its magic. By Terry Balm can also be used to heal torn or rough cuticles, to help heal small cuts or burns, and to help heal other minor skin issues. It is a remarkable workhorse that is well worth the price! You won't be disappointed.